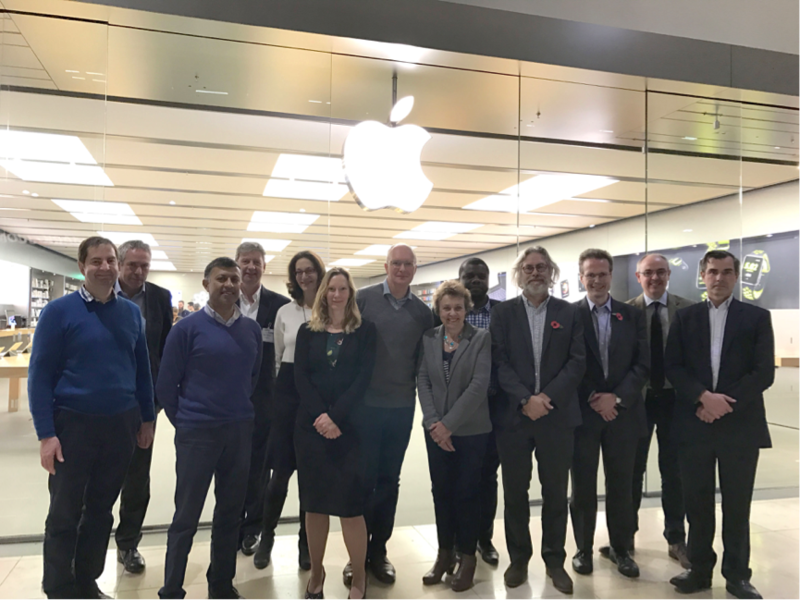 Apple has been helping leading university business incubator, SETsquared, to showcase some of the most promising upcoming tech start-ups from Surrey and Southampton. SETsquared, the enterprise partnership between the universities of Bath, Bristol, Exeter, Southampton and Surrey, brought seven of its most disruptive and cutting-edge technology start-ups to Apple Festival Place in Basingstoke yesterday (7 November) to pitch to a select audience of investors and mentors. The pitching event saw start-ups who are developing technologies for industries ranging from transport to medical imaging, to biological research, delivering five-minute presentations. The audience and Apple staff provided feedback and guidance to the entrepreneurs, helping them on the road to investment success.